Vietnam Purchases Two More Russian Frigates? (VOV) - The Russian Gorky Shipyard will build and hand over two additional Gepard-class frigates to the Vietnam People's Navy by 2017, the Itar-Tass news agency reported on February 26. 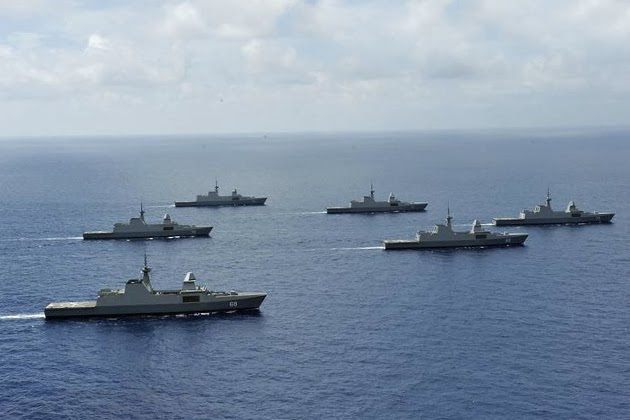 This brings the cumulative number of frigates that Vietnam has contracted for with the shipyard as part of a restocking Gepard-3.9 project to six. Itar-Tass quoted a shipyard spokesperson as saying engineers are putting the finishing touches to the manufacture of the hull. Following the installation of technical positioning and other electronic components they will begin trial runs in the Baltic Sea and should be ready for delivery in early 2017, the news agency reported. Vietnam received two first Gepard-class frigates from Russia in 2011 under a contract signed in 2006. It signed another contract for two more such vessels in 2013, and the manufacture is on the right track. BULAWAYO, ZIMBABWE — South Africa’s Denel Aerostructures (DAe) and Malaysian company Strand Aerospace Malaysia have signed a deal that initiates an indirect offsets program South Africa is offering in return for the Malaysian Army’s 3.5 billion Malaysian ringgit (US $1.1 billion) order of Denel Land Systems turrets for its eight-wheel-drive armored infantry fighting vehicles. 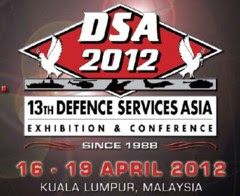 Denel has designated the Association of South East Asian Nations (ASEAN) countries as a target market in the period up to 2018 because of various military modernization programs that have turned it into one of the fastest-growing regions in terms of defense spending in the world. 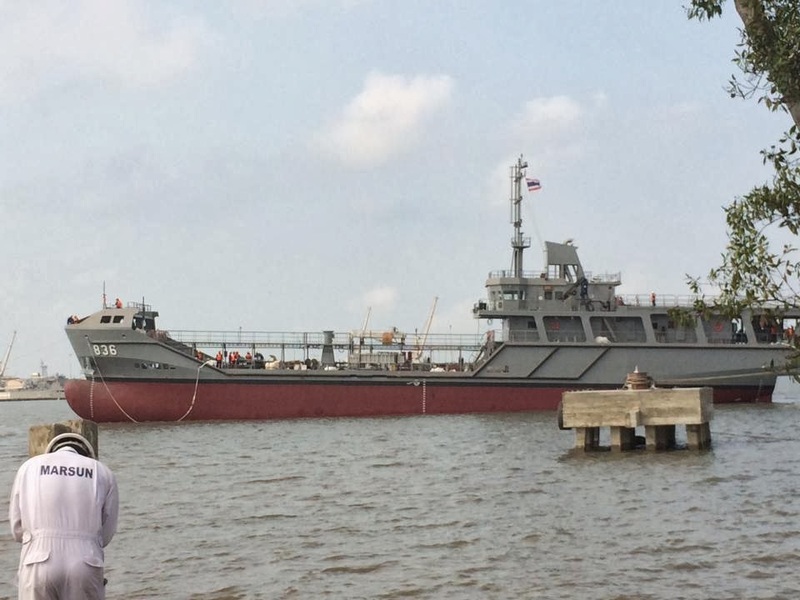 Yesterday (27 February 2557) at 14:39 a.m. Admiral Narong Pipattana denizen naval commander presided over the release of oiler vessel into the water as the boat building Bangkok Dock Company Ltd at Samut Prakan Province. 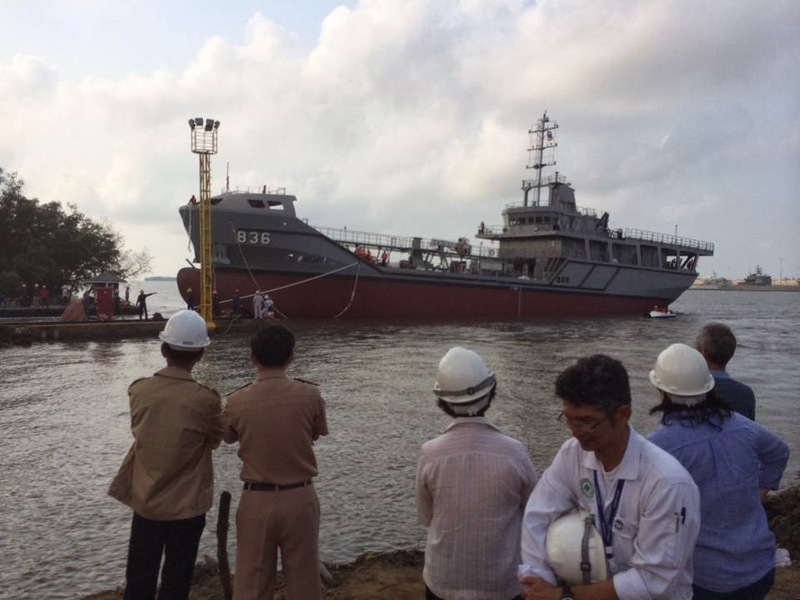 Mrs.Ajchara Pipattana wife denizen naval commander, lady at the ceremony to release oiler vessel into the water. Fleet approval for the construction of oiler vessel 1 kiloliter of oil, 1,200 DWT ships built by Bangkok Dock Company. By ships, oil tankers with a mission to support the fuel to the Navy. Vessels operating in the sea from a boat down the River Gate. Support, logistics, and doctors returning calls. Supports transporting fuel by sea in helping people along a path. 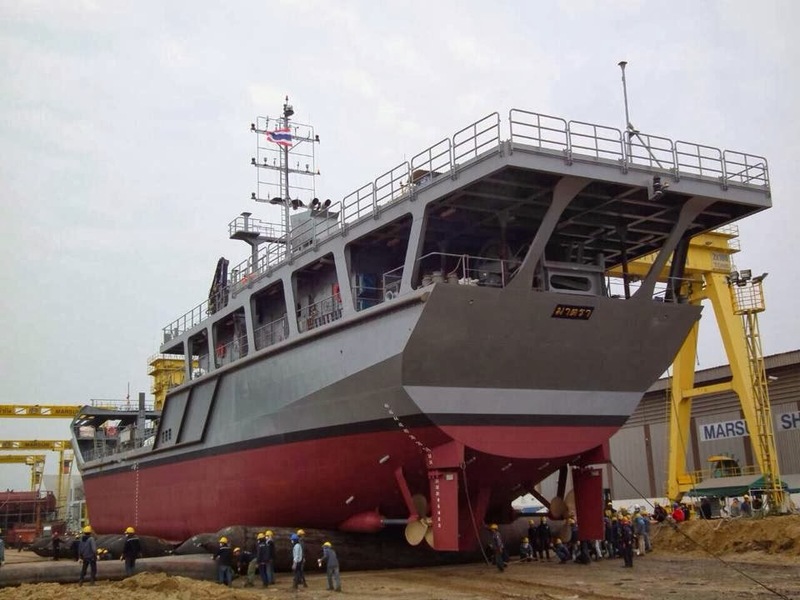 Taskforce offshore marine support vessels Government Initiative project. People of the islands and coastline and support the practice of various units in and out of the Navy. 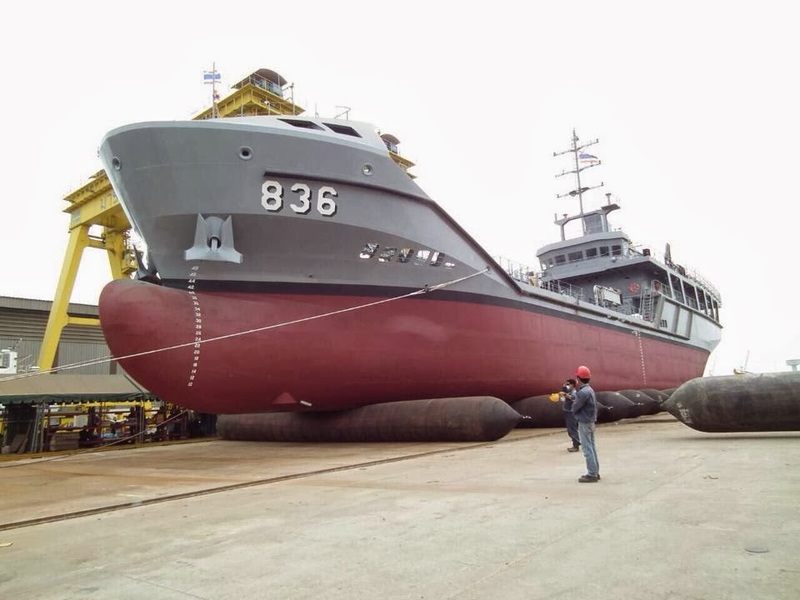 Oiler vessel has length overall 63.50 m, width 12.00 m, depth amidships 5.10 m, depth of water 3.92 m, capacity of 2,200 kL tank vessel oil fuel tank capacity of 90,000 liters capacity fuel tank and fuel tank capacity of 8,000 liters of fresh water 100 tons. Carrying capacity of oil, maximum speed of not less than 12 knots continuously secrete fully liable. Operating distance of not less than 4,000 nautical miles at economical speed (10 knots) that secrete fully liable. Can operate at sea continuously for not less than 12 days without a resupply. With the ability to send oil while the vessel is in the aft section of NATO and oil while ships at the same two points is port side and starboard can get - a helicopter weight. less than 6 tons, the number one handset can be compared to the ship's size not less than 500 tons of 2 aircraft while the ship was anchored. And mission in the sea when the maximum tonnage of not less than Sea State 5. Based on the model has been revealed, it can be judged SIGMA 9814 class ships will be capable of, the comprehensive. 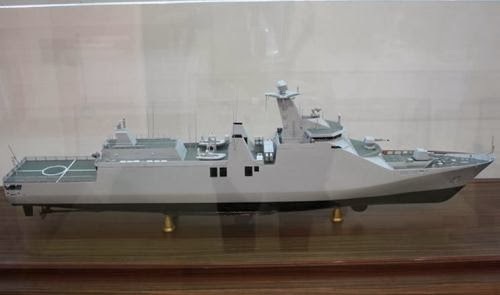 Defense News Television (QPVN) Vietnam's Ministry of Defense, broadcast at 20.00 the day 26/2 has officially revealed the first images of the "shape" of the modern class SIGMA 9814 ships will strengthen Vietnam Navy in the future. 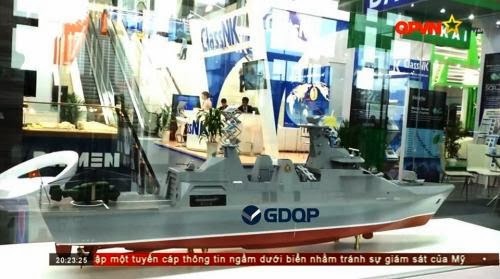 Based on a images reveal on Defense Channel Television shows the SIGMA 9814 of Vietnam will be equipped with advanced weapons systems, combining the foundation of Russia and the West. 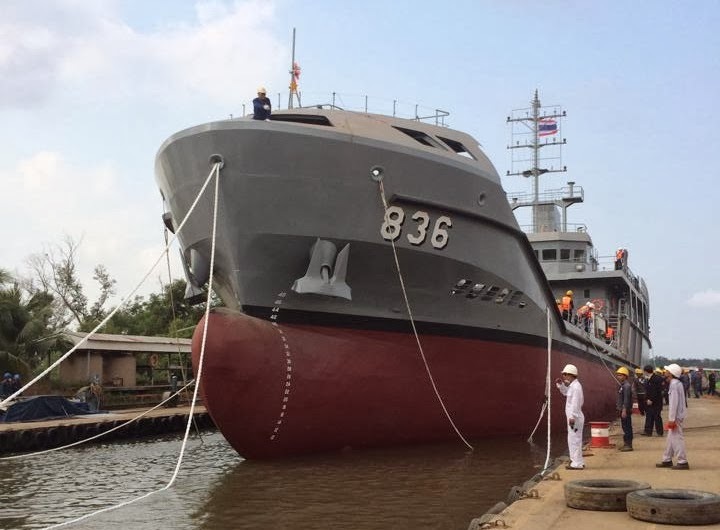 Based on the picture above, can be concluded that the first design occupies SIGMA 9814 ships of Vietnam is very similar to the design SIGMA 10514 which Holland played for the Indonesian Navy, the only thing is it (SIGMA 9814) shorter than 7m. Specifically, the front side of the ship is a 76mm Oto Melara gun turret ship, immediately after the superstructure is radar tube placement 8 Exocet anti-ship missile Block III (2 pans, each 4-tube missile launch pad placed cross each other). The stern has a landing strip large enough for a helicopter of the Russian Kamov anti-submarine could takeoff and landing. However, according to observers, the brothel next to the heliport is too small, there may not be capable of accommodating a helicopter as Ka-27/28 style. However, the brothel fully redundant power to be able to deploy a helicopter drone as Camcopter S-100 type of Austria and it is also reasonable for the information to foreign media recently revealed, the developer of S-100 UAV helicopter is SCHIEBEL are engaged discussions with the Dutch shipyard for integration of UAV systems S-100 to cavity 2 of the 9814 Sigma corvette Vietnam during the production. Below the bottom of a bow mounted sonar acoustics systems to detect enemy submarines. That means SIGMA 9814 has the ability to detect and destroy submarines using torpedoes. 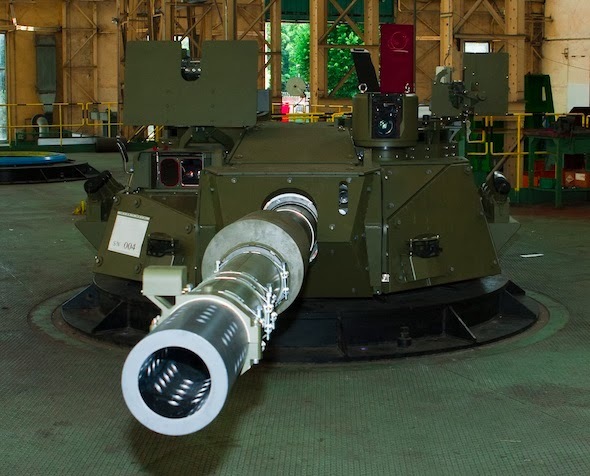 Regarding the weapons systems, more noteworthy position behind the 76mm gun turret system can have more vertical launch tubes (VLS) for air defense of the MBDA VL MICA (France) where the information previously taken. In front of the bridge, after VLS systems have an extra gun turret mounted on high, probably close range defense gun Rheinmetall 35mm CIWS like Millenium design of warships of the Navy SIGMA 10514 of Indonesia. On the roof of the helicopter hangar is a gun turret but unknown caliber and type. About avionics, no configuration changes with SIGMA 9814 ships that the company IHS Jane's believe he ever revealed, the ship is equipped with a TACTICOS combat system management, targeted search radar SMART-S MK2 and fire control systems STING EO MK2 developed by Thales Netherlands. These are electronic systems belongs to the most advanced in Europe. 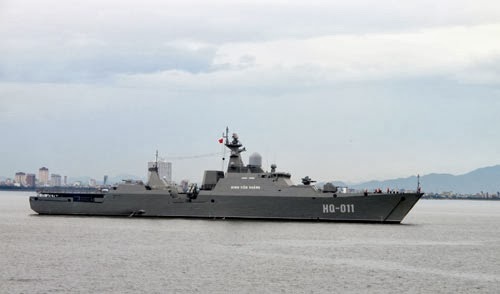 Thus, designers can identify SIGMA 9814 ships of Vietnam is fairly compact, has been optimized in size, fully armed and comprehensive, both anti-ship, anti-submarine, defense capability not, as well as close-range defensive weapons. Stern Can The layout Kamov naval helicopters also revealed the ability Vietnam will probably buy a few more helicopters or naval Ka Ka-27/28 -31 in the near future. OWEGO, N.Y., Feb. 25, 2014 /PRNewswire/ -- The third and fourth MH-60R "Romeo" helicopters take flight from the Lockheed Martin (NYSE: LMT) facility in Owego, N.Y., to join the Royal Australian Navy's (RAN) first pair of helicopters training at Jacksonville Naval Air Station in Jacksonville, Florida. On Jan. 24, the U.S. Navy officially delivered two Romeos to the RAN, marking a significant milestone for the international alliance between the U.S. and Australia. 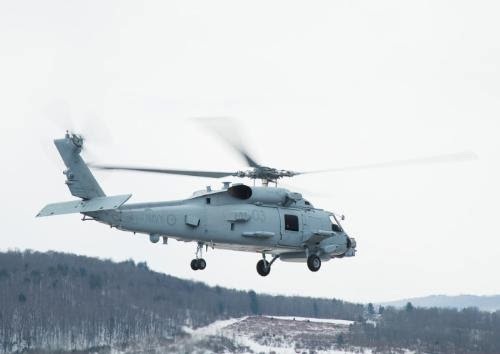 The advanced, proven helicopters are currently the cornerstone of the U.S. Navy's anti-submarine and anti-surface warfare (ASW/ASuW) operations, and the RAN will benefit from the next-generation capabilities with a fleet of 24 Romeos. "The first time we pack a punch now using the Hellfire missile that we've never had before," said RAN Commanding Officer of NUSQN 725, Commander David Frost, at the Jan. 24 delivery ceremony. "It's been a capability gap that we're now going to be able to fill with this aircraft. It's an aircraft that's jam-packed with sensors the likes of which we've never seen and the US Navy are still coming to grips with. It's an incredible aircraft." The entire fleet of 24 aircraft will be delivered to the RAN by 2017. Jakarta (ANTARA News) - The Russian truck company, Kamaz, plans to assemble and distribute its product in Indonesia and ASEAN region in coordination with local company PT Tehnika Ina. "We have agreed to marketing Kamaz trucks in the ASEAN region and to assemble the product starting on September 2014 in Indonesia," the President of PT Tehnika Ina, Panca Tazakka, said here on Tuesday. According to him, there are four types of trucks which are ready to be marketed in Indonesia. In the meantime he said Kamaz will provide trucks in the first quarter of 2014 which are completely built-up until September. "Kamaz will provide completely built-up trucks for the first quarter of 2014. 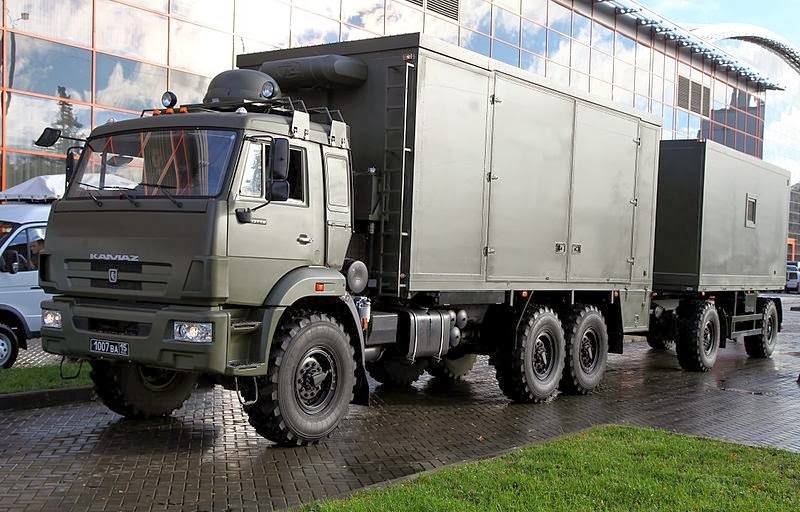 We hope the Tehnika Ina can assemble the 4x4 and 6x4 truck types on September 2014," Panca said. 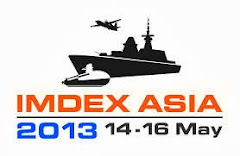 He added PT Tehnika Ina will cooperate with PT Pindad to assemble the trucks in Bandung, Indonesia. Panca said the total sales target for Kamaz trucks in 2014 is set at 500 units. "We are cooperating with PT Pindad to assemble the truck in Indonesia. We believe that Kamaz has its own consumers due to its capability in various applications," Panca said. PT Tehnika Ina will distribute Kamaz trucks in Indonesia, Timor Leste, Papua New Guinea and Brunei Darussalam. The company will also provide the spare parts of the trucks which are potential to be made in Indonesia after Kamaz gives the license. The Kamaz and PT Tehnika Ina have agreed on the cooperation after following Intergovernmental Russian-Indonesian Joint Commission on Trade, Economic and Technical Cooperation in Jakarta. Russias Deputy Prime Minister Dmitry Rogozin arrived in Indonesia on Tuesday along with 40 business persons from Russia to explore the potential cooperation with Indonesia. The delegation was welcomed by Economic Coordinating Minister Hatta Rajasa and other related business parties including Indonesian state officials and private executives. 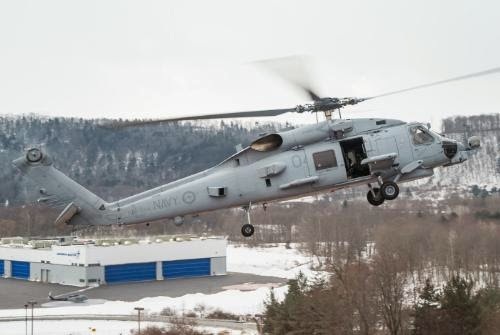 STRATFORD, Conn/PRNewswire/ -- Sikorsky Aircraft Corp. today announced its first graduating class from the Sikorsky Training Academy (STA). A team of Brunei pilots and maintainers recently completed in-depth flight and maintenance training in Stuart, Fla. Sikorsky is a subsidiary of United Technologies Corp. (NYSE: UTX). The Sikorsky Training Academy is focused on the needs of international military BLACK HAWK helicopter operators, and delivers comprehensive Original Equipment Manufacturer (OEM) training for pilots, aircrew and maintainers. Sikorsky has purchased its newest international variant, the S-70i™ BLACK HAWK aircraft, exclusively for customer training purposes. The academy offers formal pilot and aircrew training including initial qualification, crew resource management, transition courses for experienced pilots, and pilot maintenance test flight. 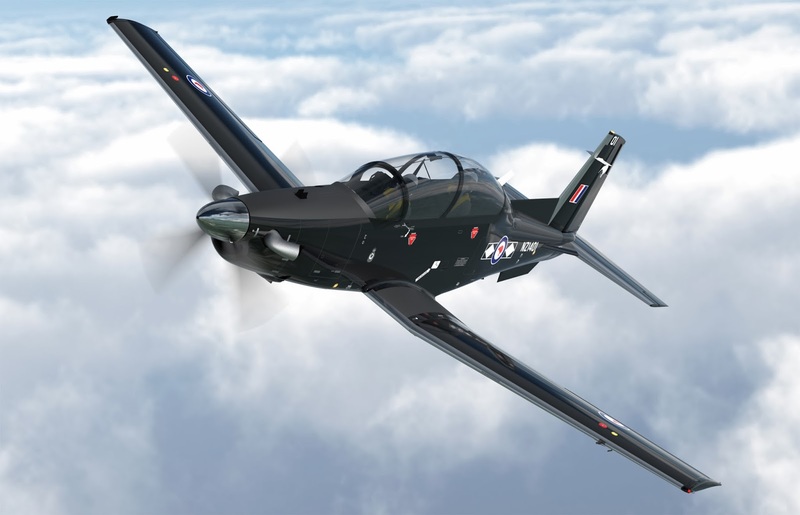 WELLINGTON — Beechcraft’s T-6C aircraft has been chosen to provide new pilot training capability for the New Zealand Defence Force (NZDF). New Zealand Defence Minister Jonathan Coleman announced the NZ $154 million (US $127 million) package, which includes 11 T-6C turboprop aircraft, together with simulators, classroom and computer based training packages to complement practical flying experience. Infrastructure improvements will include a new training/simulation center and an upgraded hangar at the Royal New Zealand Air Force’s (RNZAF’s) Ohakea base. The capability is expected to produce up to 15 graduate pilots and 12 qualifying flying instructors per year over the next 30 years, Coleman said. The aircraft will be assembled in Wichita, Kan., and are expected to enter service with the Pilot Training School and the Central Flying School at Ohakea early in 2016. Both fixed and rotary wing pilot training is conducted at the base. RNZAF pilot training currently relies upon 13 single piston-engined CT-4E Airtrainers and four leased turboprop Beech King Air B200s. While the Airtrainers will be retired in the next couple of years the B200’s lease doesn’t expire until 2018. A company-owned T-6C aircraft is expected at Ohakea in midyear to assist Beechcraft’s Global Mission Support team in training maintenance crews, followed by the first four NZDF aircraft later in the year. The training facilities and simulators are expected around mid-2015, to coincide with the first T-6C Flying Instructors Course. The first Wings Course on the new aircraft is scheduled for January 2016. Designed by New Zealand and built by Pacific Aerospace, Airtrainers have served with the RNZAF for more than 35 years. The CT-4B entered service in 1976 followed by the current 4E version in 1998. 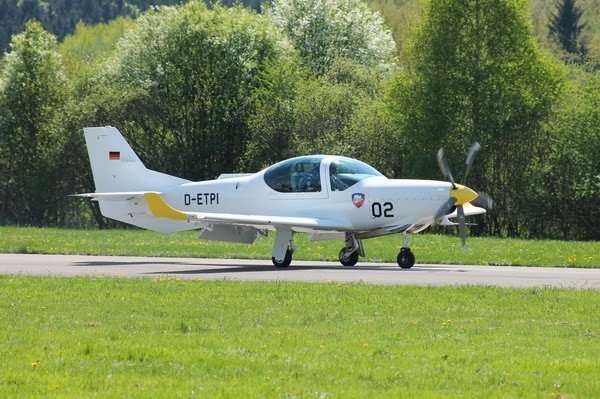 The pilot training project not only aims to provide fully trained pilots, the aircraft itself is almost entirely off the shelf, with only minor amendments to the basic specification. Moreover, Beechcraft will handle the logistics aspects, subcontracting local labor and technical support to CAE Australia and New Zealand company Safe Air. The simulators will be complemented by 12 desktop avionics trainers that feature touch-screen computers. The T-6C basic specifications include Martin Baker Mk16 zero/zero ejection seats, Esterline’s CMC 4000 glass cockpit, three multifunction displays, a SparrowHawk head-up display, plus an FN Herstal weapons control system with six under-wing hard points, two of which are plumbed for fuel tanks. Although the RNZAF’s existing Airtrainers have for decades been painted yellow with black control surfaces, the T-6Cs will be black. Apparently black is regarded as effective for catching sight of high performance aircraft, and with nearly double the cruise speed (297 knots versus 152 knots) and more than twice the climb rate of the CT-4E, the T-6C qualifies as a high performer. Seperti Apa Wujud Tank `Misterius` Buatan Pindad dan Turki? PT Pindad dan FNSS Turki sedang mengembangkan pembuatan tank kelas sedang untuk TNI AD. Rencananya prototipe ini akan selesai pada awal tahun 2016. "Awal 2016, harapannya prototipe jadi," tulis Juru Bicara PT Pindad Tuning Rudyati melalui pesan singkat kepada Liputan6.com, Jakarta Selasa (25/02). 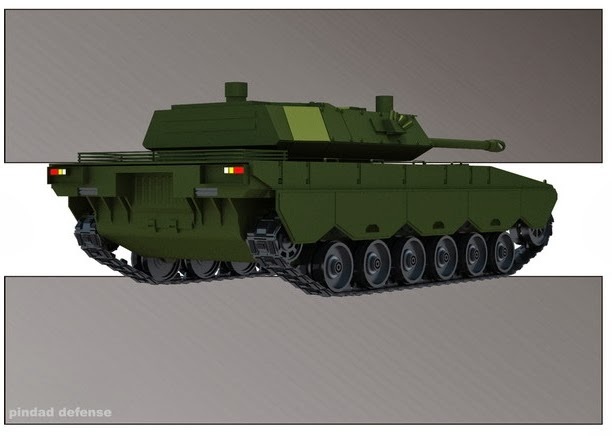 FNSS Turki pernah mengirimkan prototipe tank ringan ACV-300 untuk dijajal oleh TNI AD. Apakah desainnya akan dikembangkan dari ACV-300? "Untuk joint dengan Turki, model tidak mengacu pada ACV-300 tapi akan ditentukan oleh Pindad dan FNSS dalam Forum Intergrated Planing Team Meeting," imbuh Tuning. Saat ini PT Pindad juga melakukan riset dengan Pussenkav TNI AD. Kadispen TNI AD, Brigjen Andika Perkasa saat dihubungi terpisah mengatakan, dari hasil riset ini akan dipelajari desain yang cocok agar bisa sesuai dengan kondisi geografis Indonesia. "Tes dilakukan sendiri oleh PT Pindad dengan mempertimbangkan kebutuhan user (TNI AD)," tulis Andika melalui pesan singkatnya. Tank kelas sedang pengembangan 2 negara ini akan memiliki berat 24-25 ton. Untuk kanon menggunakan kaliber 105 mm dan chasis untuk kavaleri dengan silhouette maximum 2.5 meter. "Chasis tank termasuk tinggi turent dan kanon. Chasis tank ini dapat dikembangkan amphibious sehingga dapat dipakai juga oleh marinir," tambah Tuning. Kerjasama PT Pindad dan FNSS Turki sudah dilakukan sejak beberapa tahun yang lalu. Pada 6 Februari 2014, kedua industri pertahanan ini melakukan penandatangan kerjasama di Gedung Soeprapto, Kementerian Pertahan, Jakarta dengan disaksikan Dirjen Potensi Pertahanan, Timbul Siahaan. Selain dengan FNSS Turki, Indonesia juga sedang membicarakan kerjasama tank kelas sedang lainnya yaitu Marder milik perusahaan Rheinmetal Jerman. 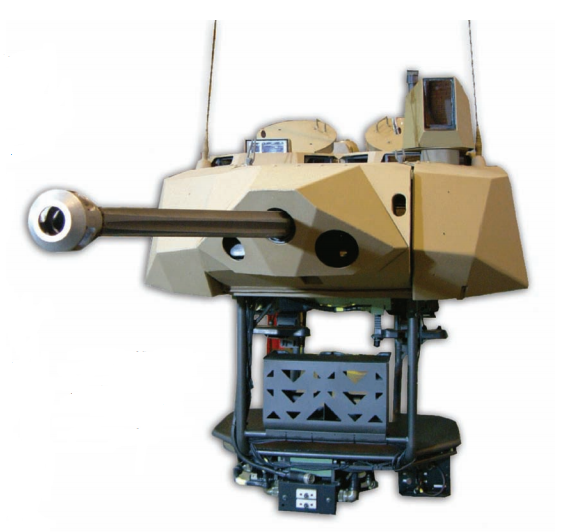 Pembicaraan ini terkait transfer teknologi salah satunya terkait turret Oto Melara Hitfact 120 mm. "Mengenai IFV Marder Jerman sejauh ini masih dilakukan tahap pembicaraan kerjasama, khususnya dalam hal transfer teknologi," kata Andika. PT Pindad salah satu industri pertahanan yang bernaung dibawah Badan Usaha Milik Negara telah banyak membuat kendaraan lapis baja beroda seperti APS-3 Anoa 6x6, Rantis Komodo 4x4 dan beberapa kendaraan lainnya. Untuk kendaraan lapis baja rantai, PT Pindad masih melakukan pengembangan pada prototipe untuk tipe angkut personel (APC). Sedangkan FNSS Turki telah banyak membuat lapis baja berantai seperti ACV-19, ACV-15, LAWC-T, ACV-30 dan beberapa tipe lainnya. Malaysia juga bekerjasama dengan FNSS Turki dalam pembuatan lapis baja berantai ACV-300 dan beroda 8x8 AV8. The allocation amounts to 22% of total annual government expenditure and about 3.3% of GDP. Both figures are in line with the country's long-term approach to defence spending, which is geared towards maintaining the Singapore Armed Forces' (SAF's) relative high degree of military capability. While expenditure as a percentage of GDP is higher than the global average of around 2%, it remains significantly below the Singapore government's sanctioned cap of 6%. The reduction from 3.4% of GDP in 2013 to 3.3% in 2014 follows a general trend of decline with regards to this particular metric since 2009. Jakarta (ANTARA News) - Indonesia tercatat sebagai negara pertama di luar Amerika Serikat yang mengoperasikan C-130 Hercules. Latar belakangnya adalah Allan Pope, pilot swasta Amerika Serikat yang bisa ditembak jatuh dan ditangkap seturut PRRI/Permesta pada 1958. Skuadron Udara 31 Hercules Sang Penjelajah terbitan TNI AU, menuturkan, bermula dari kunjungan Presiden Soekarno kepada koleganya, Presiden Amerika Serikat, John F Kennedy, akhir 1959. Kennedy berterima kasih atas kesediaan Indonesia melepas Pope, pilot CIA berstatus sipil itu yang memperkuat AUREV-Permesta, yang ditembak jatuh Kapten Udara Penerbang Dewanto, dalam pertempuran udara. Ini juga satu-satunya dog fight bersenjata dan menang oleh penerbang tempur TNI AU hingga kini. Kennedy menawarkan "pengganti" Pope kepada Soekarno, dan berdasarkan "keperluan" dari Panglima AU, Laksamana Madya Udara Suryadarma, AURI memerlukan pengganti pesawat transportasi de Havilland Canada DHC-4 Caribou. Pilihan kemudian C-130B Hercules, dalam kunjungan Soekarno ke pabriknya, Lockheed (belum bergabung dengan Martin). Akhirnya 10 C-130B bisa diterbangkan secara ferry ke Tanah Air; yang membanggakan, penerbangan-penerbangan itu dilakukan langsung oleh pilot dan awak AURI. Saat itu, delapan C-130B kargo dan 2 C-130B tanker bisa dibawa ke Pelabuhan Udara Kemayoran, Jakarta. "Itu menunjukkan bangsa Indonesia disegani dan memiliki posisi tawar yang kuat di mata Amerika Serikat," kata Mersekal Pertama TNI Teguh David, dalam buku itu. Fakta menyatakan, pendaratan pertama C-130B Hercules ke Tanah Air dilakukan Mayor Udara Penerbang S Tjokroadiredjo, Letnan Muda Udara II A Cargua, Sersan Mayor Udara S Wijono, dan Kapten Udara Navigator The Hing Ho. Juga Sersan Mayor Udara M Smith, Kapten Udara Penerbang Pribadi, Letnan Muda Udara II Alex Telelepta, Sersan Mayor Udara Ali Nursjamsu, Letnan Muda Udara I Basjir, Letnan Muda Udara I Sukarno, Letnan Muda Udara I Arifin Sarodja, dan Kapten Muda Udara Sasmito Notokusumo. Fakta selanjutnya, itulah pertama kalinya terjadi penerbangan ferry terjauh untuk semua jenis pesawat terbang, C-130B AURI terbang sejauh 13.000 mil laut melintasi tiga samudera dari pabrikan ke negara operatornya. Itu juga penerbangan internasional pertama yang 100 persen diawaki personel aktif AURI, dan belum pernah terjadi pada militer lain di dunia saat itu. Fakta pada penerbangan 18 Maret 1960 itu menjadikan Indonesia operator terbanyak C-130 Hercules di belahan selatan dunia di kemudian hari. Saat itu, 10 C-130B dimasukkan ke dalam Skuadron Udara Angkut Berat AURI mendampingi Skuadron Udara 2 berintikan C-47 Dakota/Skytrain. 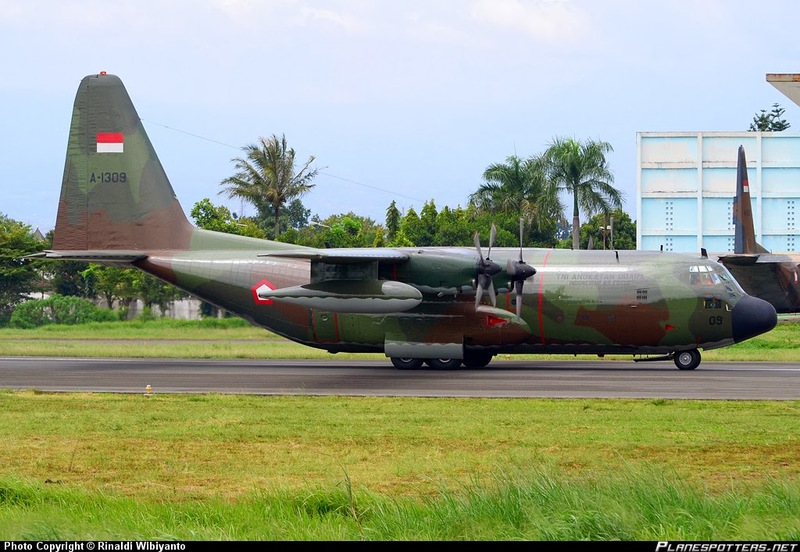 C-130B saat itu menjadi pesawat multiengine perdana di Tanah Air berteknologi turboprop, suatu lompatan teknologi penting dan besar yang ternyata bisa cepat dikuasai putera-putera bangsa. Hal ini dipuji secara khusus oleh Menteri Keamanan Nasional, Jenderal AH Nasution, dan beberapa petinggi Lockheed. Dikarenakan jumlahnya cukup banyak, maka pada 19 Februari 1962, didirikanlah Skuadron Udara 31 angkut berat, disusul Skuadron Udara 32 pada 29 Desember 1965. Yang unik, C-130B saat itu kemudian berdampingan dengan Antonov An-12 buatan Uni Soviet di Skuadron Udara 31. Fakta saat itu, kedua skuadron udara itu (31 dan 32) berpangkalan di Pangkalan Udara Halim Perdanakusuma, Jakarta Timur. Kemudian Skuadon Udara 32 dipindahkan ke Pangkalan Udara Utama 32 Abdulrahman Saleh, Malang, Jawa Timur, pada 1976. 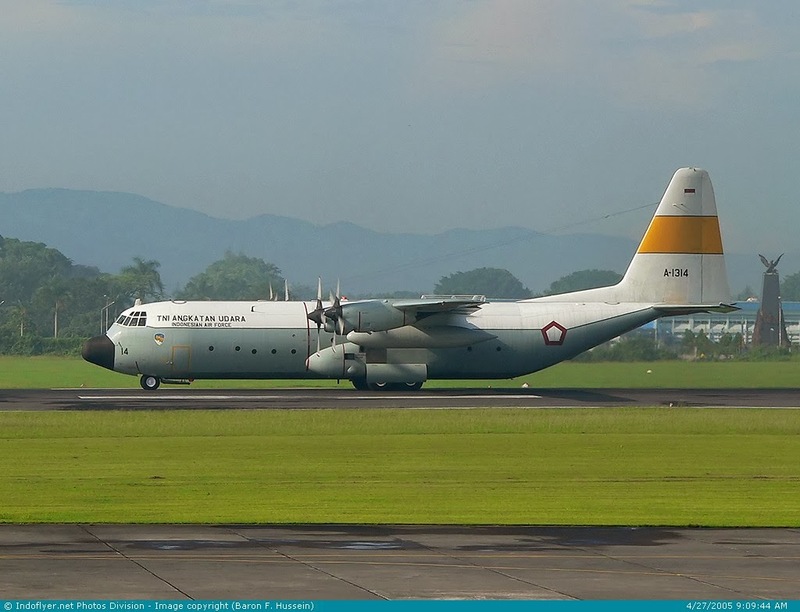 Skuadron Udara 32 sempat dinonaktifkan sejalan penonaktifan Antonov An-12 pada 11 Mei 1965; kemudian diaktifkan lagi pada 11 Juli 1981, yang keseluruhannya berisikan C-130B. Saat itu, pembagian kekuatan udara di antara kedua skuadron udara adalah enam C-130HS (nomor registrasi A-1317, A-1318, A-1319, A-1320, dan A-1324 plus C-130H/A-1323) untuk Skuadron Udara 31. Skuadron Udara 32 mendapat dua C-130B (A-1301-A-1313), dua C-130H (A-1315 dan A-1316), dan dua C-130KC (tanker udara, A-1309 dan A-1310). Sebetulnya, masih ada beberapa varian C-130 Hercules yang dioperasikan TNI AU (kemudian), yaitu satu versi sipil C-130 Hercules, L-100-30, yang lalu dikonversi ke militer (A-1314) dan C-130HS (A-1341) yang didedikasikan pada Skuadron Udara 17 VIP. A-1314 dan A-1341 dinomori di luar kelaziman, karena jika dijumlah, baik angka 1314 dan 1341 akan menghasilkan angka 9; ini sesuai pemberian langsung dari Menhankam/Panglima ABRI (saat itu), Jenderal TNI M Yusuf. Fakta menunjukkan, Skuadron Udara 17 VIP merupakan satu-satunya skuadron udara militer di dunia yang mengoperasikan C-130 dan variannya sebagai pesawat terbang VIP kenegaraan resmi. Skuadron Udara 5 pernah mendapat satu C-130MPH bernomor registrasi A-1322 sebagai pesawat intai maritim yang dijejali sensor elektronika penjejak. 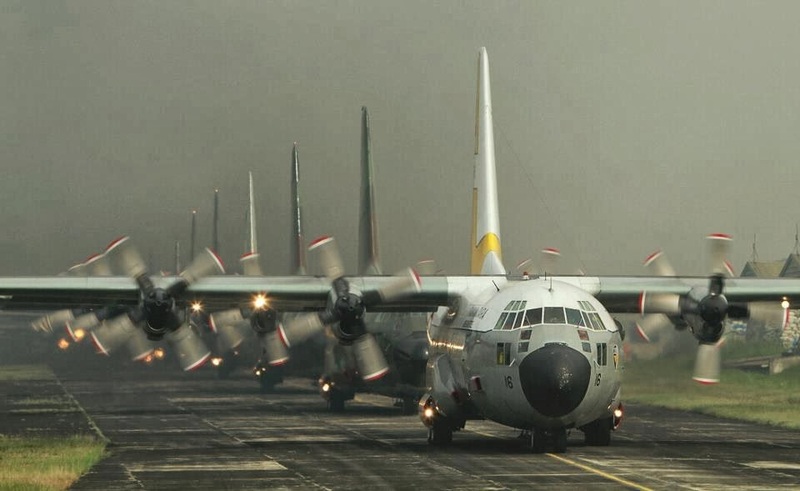 Fakta berikutnya adalah tambahan 12 unit C-130H series yang dibeli pada dasawarsa '80-an, yaitu tiga C-130H (A-1315, A-1316, dan A-1323), satu unit C-130MPH (A-1322), tujuh unit C-130HS (A-1317, A-1318, A-1319, A-1320, A-1321, A-1324, dan A-1341), satu unit L-100-30 (A-1314). 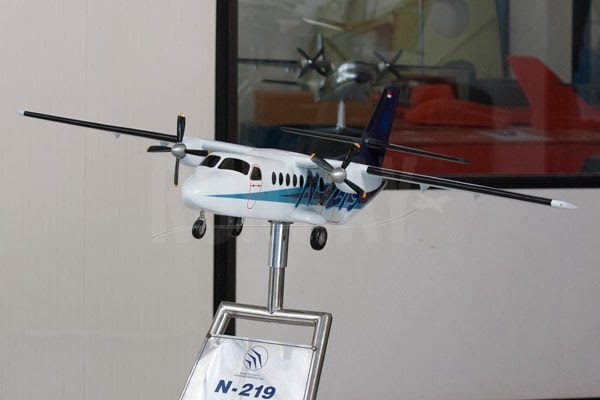 Fakta lain, penambahan pesawat terbang transport berat ini terjadi pada 1995, yaitu dua L-100-30 hibah dari PT Merpati Nusantara Airlines (A-1325 dan A-1326) dan tiga unit L-100-30 dari PT Pelita Air Service (A-1327, A-1328, dan A-1329). Sampai saat ini, TNI AU mengoperasikan hingga 28 unit C-130 Hercules dari berbagai varian, terbanyak di belahan selatan dunia. 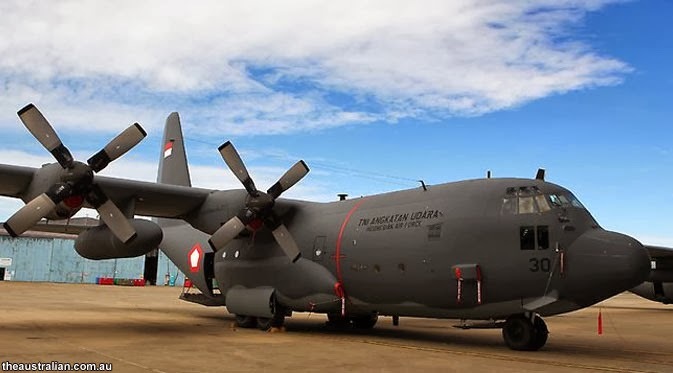 Jika hibah sembilan unit C-130H Hercules dari Australia telah tiba semuanya, maka akan semakin banyak lagi "koleksi" C-130 Hercules kita, terdaftar hingga 37 unit. Liputan6.com, Jakarta : Perang di era modern tak lagi saling berhadapan. Tapi melibatkan persenjataan canggih, termasuk rudal. Sekali tembak, nyawa ribuan orang di posisi target, yang jauhnya ratusan hingga ribuan kilometer, niscaya terancam. Maka dari itu, rudal penangkal sebagai sistem pertahanan alternatif, menjadi wajib dimiliki. Saat ini, TNI Angkatan Udara, Lembaga Penerbangan dan Antariksa Nasional (Lapan), dan PT Dahana, sedang mengembangkan rudal Penangkis Serangan Udara (PSU) jarak sedang. Senjata anti-rudal ini akan dikembangkan dari roket-roket yang telah berhasil dibuat Lapan. Lapan telah berhasil meluncurkan beberapa tipe roket seperti RX-420 yang memiliki daya jangkau di atas 100 km. Lapan juga sedang mengembangkan roket berdaya jangkau 200 km lebih yaitu RX-550. "Iya dari pengembangan roket Lapan sebelumnya. Mereka sudah berhasil, peluncurannya sudah lurus. Cuman isiannya, pendorongnya itu masih dikembangkan terus," ucap Kadispen TNI AU Marsekal Pertama (Marsma) Hadi Tjahjanto saat dihubungi, Jakarta, Selasa (25/02/2014). Hadi menambahkan, saat ini permasalahan untuk rudal penangkis udara terjadi pada propelannya. Rencananya beberapa tahun ke depan propelan ini sudah bisa diperbaiki dan dilakukan uji coba kembali. "2 atau 3 tahun ke depan isiannya atau propelannya itu sudah ditemukan akan dibuat uji coba lagi. Kalau memang bagus akan ditawarkan pada BUMN atau Bumnis (Badan Usaha Milik Negara Industri Strategis)," imbuh pria berkumis ini. Apakah pengembangan ini untuk rudal jarak sedang atau jauh? "Nanti kalau propelannya itu sudah teruji tinggal isiannya mau dibuat jarak sedang atau jauh. Kalau nama rudal nunggu sudah jadi baru dari BUMN dengan Kemenhan yang nanti ngasih nama rudalnya," jawab Hadi. Saat ini TNI AU hanya memiliki PSU yang aktif dari kelas jarak pendek seperti Oerlikon, Starstrek, VL Mica dan lain-lain. Kepala Staf Angkatan Udara, Marsekal TNI Ida Bagus Putu Dunia menuturkan saat ini pihaknya sedang menjajaki PSU untuk jarak sedang. Rencana ini akan disusun di Minimum Esential Force (MEF) rentra kedua (2015-2019). "Untuk 10 sampai 100 km itu perlu kendali jarak sedang, sekarang kita lagi diproses. Mudah-mudahan segera melengkapi sistem pertahanan kita," kata Putu saat menerima 16 unit pesawat T-50i dari Korea Aerospace Industry (KAI) di Lanud Halim Perdakusuma, Jakarta Timur, Kamis 13 Februari 2014. 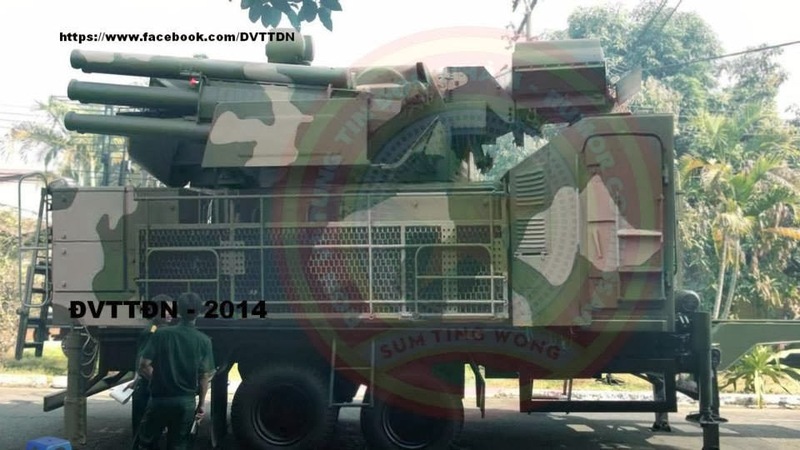 Vietnam Already Own Pantsir S1 ? (Soha.vn) - People's Daily (China) recently published a photograph of artillery systems/missile Pantsir-S1 they think of Vietnam. Recently, the newspaper People's Daily (Chinese version), official newspaper of China's leading uploaded a photo on artillery system/missile Pantsir-S1 produced by Russia. The newspaper said that this is the image of Pantsir-S1 systems in Vietnam. Through photos on People's Daily, this version Pantsir-S1 can be left version, which is fighting the special module on a trailer instead of putting on truck chassis as the Russian system that is used and exported to several countries. However, all information and images above are speculations of People's Daily . There is not yet any official information from the authorities of Vietnam. System artillery/missile Pantsir-S1 (NATO designation is SA-22 Greyhound) was made ​​in Tula Russian design institutes. Pantsir-S1 system is used to destroy low-altitude flying targets such as low-flying aircraft, helicopters, UAVs, cruise missiles. The weapon's main strength is 12 Pantsir-S1 missile interceptors 57E6 (export version is 57E6-E). 57E6-E missiles have a range of efficiency 20km;15km height, speed of 900m/s at a range of 12km and 700m/s at a range of 18km. In addition, there are 2 cannon Pantsir-S1 caliber 2A38 30mm cannon, with cannon firing rate of each release up to 2,500/minute, an effective range of up to 4km. 1RS2-1E radar equipped version Pantsir-S1 export target detection range up to 32-36km in distance. If Vietnam own the system Pantsir-S1, Vietnam will have steel shield low-range air defense, additional low-altitude air defense systems as old Vietnam: ZSU-23-4, Strela-10, anti-aircraft guns, Igla missiles. Pantsir-S1 can be fitted together with the system S-300PMU1 of Vietnam to protect the system against the threat from cruise missiles, or put ... at the base and important goal should be protected as airports, military port, arsenal. The story of which industry team will capture the lion's share of the business to upgrade the Lockheed Martin F-16 has taken a new turn, with a decision by Singapore potentially now a 'game winner', while rumours continue to circulate about the US Air Force's (USAF's) future plans for modernising its own F-16 fleet. The USAF's Combat Avionics Programmed Extension Suite (CAPES) programme was originally intended to involve 300 US F-16 aircraft, all of which would be upgraded with Northrop Grumman's Scalable Agile Beam Radar (SABR) and a set of other onboard systems integrated by Lockheed Martin, the aircraft's original manufacturer. 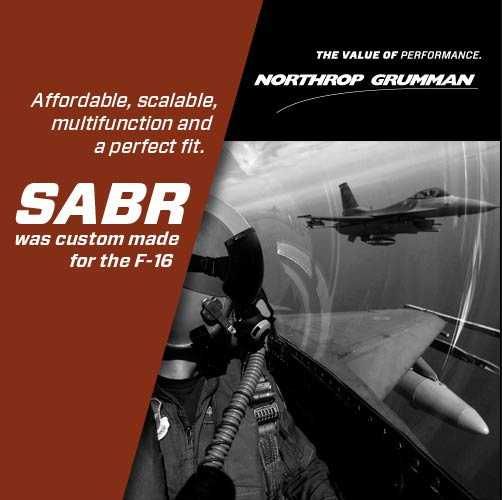 Both the SABR and its competitor, the Raytheon Advanced Combat Radar (RACR), are active electronically scanned array (AESA) radars designed to replace the F-16's existing Northrop Grumman AN/APG-68 mechanically steered array (MSA) radar set. 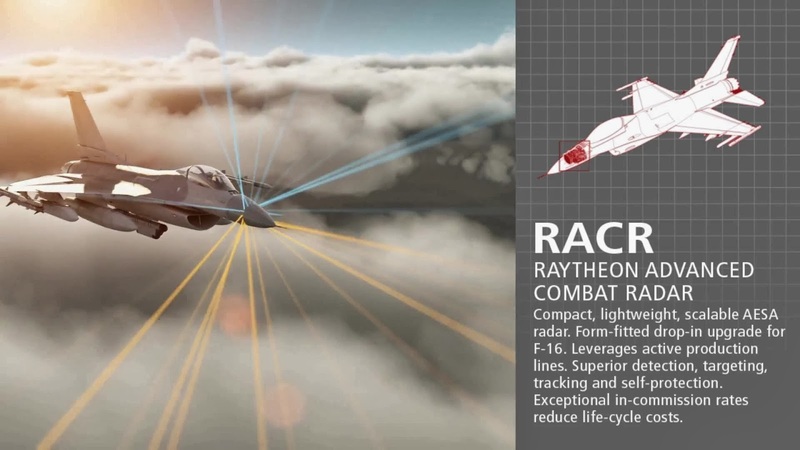 For its proposed upgrade Raytheon is paired with BAE Systems, which performs the role of integrator and supplier for a new set of cockpit displays, an electronic warfare suite, and a main mission computer. Taiwan (the Republic of China - ROC) had elected to join the USAF in a joint effort focused on the SABR radar, with Lockheed Martin as the programme integrator, and would have 146 of its aircraft upgraded with this package. The island nation is one of the three near-term export customers for an F-16 modernisation, along with South Korea, with 130 F-16s to be modernised, and Singapore, which is looking to modernise between 60 and 70 of the type. Taiwan elected to go with the same upgrade configuration as the USAF on the basis that the programme's non-recurring engineering (NRE) costs would be amortised over a total of 446 aircraft. However, there have been rumours for months now that on 4 March the USAF could zero out budgeting for the CAPES upgrade in its 2015 budget plan in an effort to maintain current funding levels for the F-35 Joint Strike Fighter (JSF). Officials from Lockheed Martin and Northrop Grumman stated at the Singapore Airshow this month that there would be no impact on the unit cost if the USAF withdrew from CAPES. The head of LM Aeronautics, Orlando Carvalho, stated that almost every country contemplating an F-16 upgrade "is doing something unique", which makes the question of if or when the USAF decides to go forward with CAPES a non-issue. However, an industry source who spoke with IHS Jane's claimed that the reason there would be no appreciable impact on the unit cost for the upgrade offered to Taiwan if the USAF ditched CAPES is because "in reality the Taiwanese were always paying for the entire NRE; they just do not know it". The source further claimed that Taiwan will end up not only paying the full NRE costs of the SABR plus the Lockheed Martin upgrade, but that, "since SABR was never productionised and has only ever existed as a few prototypes, Taiwan will also pay for the creation of the entire SABR production line and the establishment of a full raft of suppliers to support that effort". 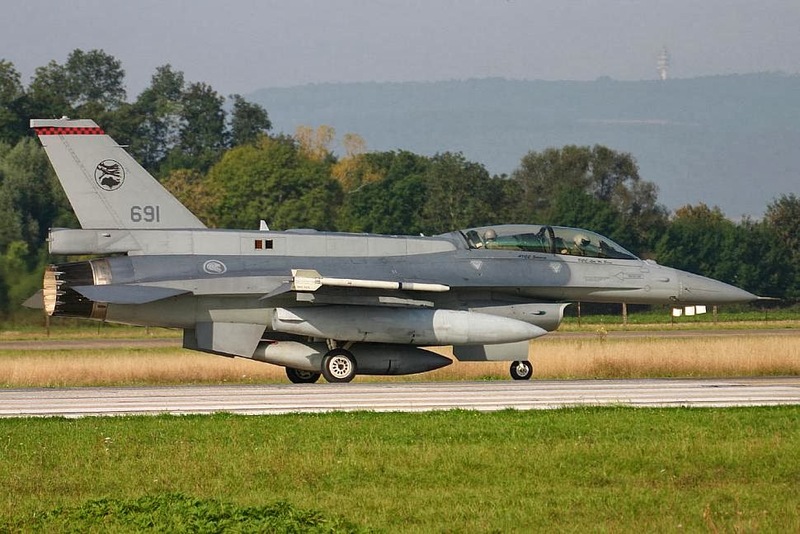 These and other uncertainties led South Korea to instead bid its F-16 upgrade competitively, which resulted in its selection of the combination of RACR and BAE Systems, which has a cost structure independent of the USAF programme. Raytheon executives such as Jim Hvizd, vice-president for international strategy and business development, state that the approach of their company was to minimise the cost of the upgrade by making the RACR a production-standard design from day one that is piggy-backed on the 'hot' production lines of the company's other AESA models. This makes the Raytheon offer "orders of magnitude cheaper" than the rival package from Lockheed Martin and Northrop Grumman, Raytheon officials claim. Singapore, meanwhile, has now become an effective tie-breaker as to which of the teams will win the most F-16 upgrade business, with its selection seen as potentially pivotal because of the reputation the island state has of being a smart buyer. Industry sources state that Singapore had originally been predisposed to select the Lockheed Martin/Northrop Grumman package and the SABR radar, but one source told IHS Jane's that "if the USAF or the ROC were to pull out of the effort, the uncertainties that this creates might cause them [Singapore] to re-evaluate their options". Raytheon representatives point out that there would be certain synergies that Singapore would take advantage of by selecting RACR. "Their current fleet of 25 F-15SG fighter aircraft are fitted with the Raytheon AN/APG-63(V)3 AESA, so incorporating RACR into their F-16 gives them a level of commonality with some unique advantages," noted one Raytheon official. TRIBUNNEWS.COM, SLEMAN - Tim akrobatik udara TNI AU Jupiter Aerobatic Team (JAT), tiba kembali di home base Landasan Udara (Lanud) Adisutjipto, Kamis (20/2/2014). Delapan pesawat KT-01 Wong Bee ini selanjutnya akan menempati shelter Wingdik di Skadik 102. 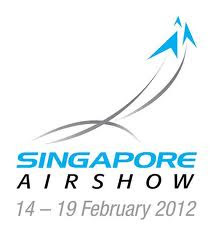 Kedatangan JAT ke Lanud ini merupakan pertama kali sejak mengikuti ajang Singapore Airshow 2014, yang berlangsung di Bandara Changi 11 hingga 16 Februari. Dan mengisi acara Gebyar Dirgantara Selasa (18/2/2014) di Palembang. Pesawat ini sempat tertahan beberapa hari di pangkalan TNI AU Halim Perdana Kusuma. Hal ini dikarenakan guyuran abu yang mendera DI Yogyakarta beberapa waktu lalu. Kedatangan pesawat yang didominasi warna merah putih yang dipimpin oleh Kol Pnb Wahyu Anggono, SE. Serta Flight Leader adalah Mayor Pnb Ferry Yunaldi ini, disambut oleh Komandan Wingdik Terbang Kol Pnb Ir Bob H Panggabean. Selain kedatangan tim akrobatik kebanggaan Indonesia, Lanud Adisutjipto juga menerima empat unit pesawat latih jenis Grob G120TP-A. Pesawat buatan Jerman ini merupakan upaya untuk modernisasi Alat Utama Sistem Pertahanan (Alutsista) TNI AU. Direncanakan, Angkatan Udara akan memunyai 18 pesawat berjenis Grob. 18 pesawat ini diserahkan secara bertahap oleh Kementerian Pertahanan RI. Pada 2013 silam, telah diserahkan 10 armada Grob. Penyerahan ini dimaksudkan untuk menggantikan pesawat latih yang lama. Sementara ini di Skadik 102 Lanud Adisutjipto, telah memiliki 14 pesawat Grob. Empat sisanya akan diterbangkan dari Lanud Halim hari ini, Jumat (21/2/2014). To provide technical support and training operating characteristics of KrAZ vehicles in Thailand were sent to specialists PAO "AvtoKrAZ". Training was conducted in accordance with the terms of tender won Kremenchug Automobile Plant in the hardest fight in the beginning of last year. 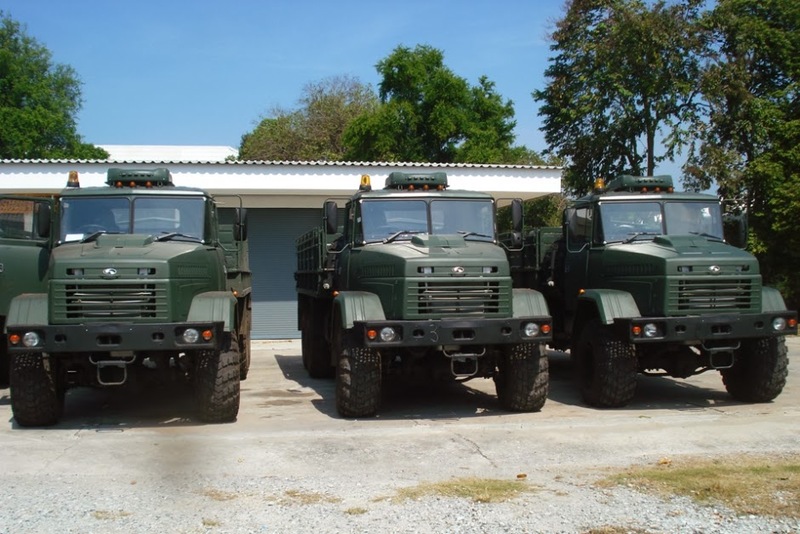 Tender anticipated delivery of a large batch of cars KrAZ-terrain vehicles for the needs of the Royal Thai Army. The training was attended by a total of about 100 people from the mechanics, drivers and inspectors of various units of the Royal Thai Army. Theoretical knowledge and conduct MOT specialists "KrAZ" taught in one of the service centers of the Thai army. The practical part of training, which consisted of driving skills training, maintenance and repairs, carried out in real-world conditions - on one of the military ranges. After learning all the cadets were issued certificates of course completion. Specialists "KrAZ" noted the special diligence and perseverance in learning Thai soldiers subtleties handling heavy-terrain vehicle. In turn, the Thai military was thanked for the high level of training and professionalism noted automobile. In particular, one of the inspectors - military academy teacher, after receiving the certificates said: "KrAZ - new and difficult for us car. KrAZ before the Royal Thai Army vehicles were up to 5 tons lifting capacity, but none of them was able to tow 152 mm artillery guns. KrAZ - giant, very powerful car and it is under power. More on pre-tender trials we watched with admiration how easy it KrAZ pulls howitzer, despite the complex, almost impenetrable terrain. We are confident that he will also brilliantly cope with the tasks. " Liputan6.com, Jakarta TNI Angkatan Udara terus mengembangkan kemampuannya untuk menjaga pertahanan Tanah Air, baik melalui pelatihan rutin maupun pengadaan alat utama sistem senjata (alutsista). Selain itu, TNI AU juga menambah satuan dalam angkatan udara (Squadron), salah satunya Squadron 9. Rencananya Squadron 9 (skad) akan ditempatkan di Subang/Kalijati, Jawa Barat untuk tugas SARPUR (Safe and Resque Tempur). Untuk alutsista yang dipilih adalah 16 helikopter canggih EC-725 Cougar asal Eurocopter. "Skad 9 adalah skad baru yang berkedudukan di lanud SDM Subang/kalijati dengan kekuatan 16 pesawat cougar full combat," ucap Kadispen TNI AU Marsekal Pertama Hadi Tjahjanto yang dihubungi Liputan6.com di Jakarta. Saat ini TNI AU telah menandatangani 6 unit dengan Eurocopter melalui PT. Dirgantara Indonesia pada Maret 2012 silam dan direncanakan selesai pada tahun 2014. Untuk 10 unit lainnya akan dipesan pada 2015. "Rencana menjadi kekuatan squadron udara 9 lanud SDM, akan tiba secara bertahap pada tahun 2015 dengan kekuatan satu squadron," tutur Jenderal berkumis ini. 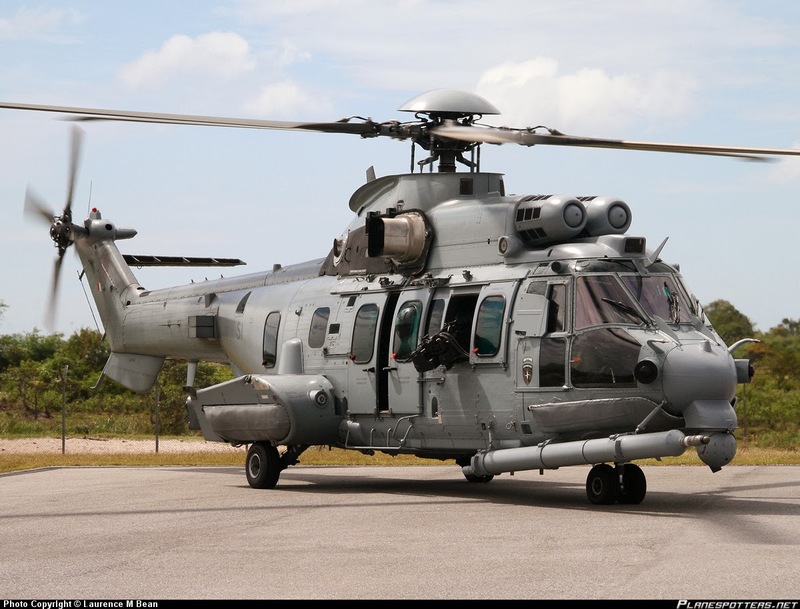 EC-725 Cougar atau super Cougar adalah helikopter transportasi jarak jauh yang bisa memuat 29 penumpang beserta 2 crew. Heli multi-role ini dilengkapi teknologi canggih seperti LCD multi fungsi 6"x8" pada cockpit, terintegrasi dengan peta digital/peperangan elektronik, full glass cockpit, dan lain-lain. EC-725 Cougar menggunakan mesin ganda yaitu 2x Tubomeca Makila 1A4 tuboshafts dengan kecepatan maksimum 324 km/jam (175 kts) dan dapat mengudara selama 6 jam lebih. 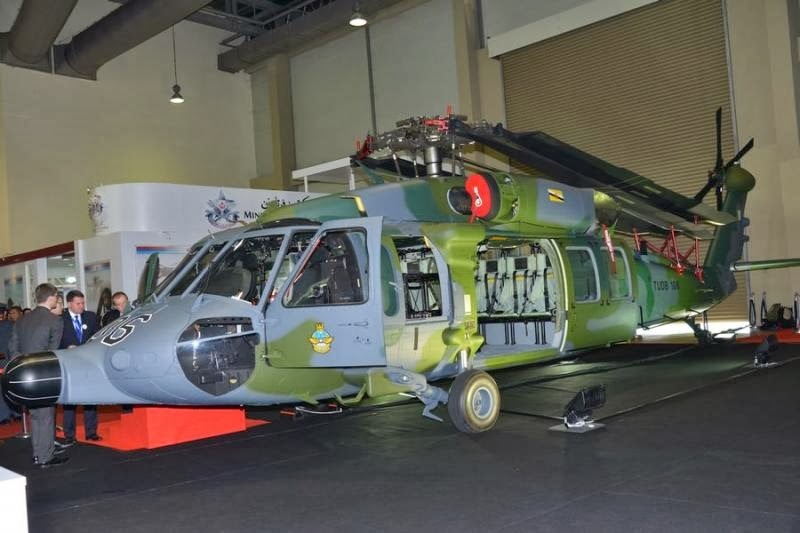 Selain Indonesia, negara-negara yang telah menggunakan EC-725 Cougar adalah Perancis, Brasil dan Malaysia. Helikopter canggih ini bisa juga dipersenjatai dengan gun pod dan roket pod. Untuk melindungi diri, terdapat pelapis baja untuk pilot dan co-pilot dan juga senjata berkaliber 7.62 mm atau 12.7 mm. Pemilihan EC-725 Cougar karena selama ini TNI AU telah terbiasa menggunakan produk dari Eurocopter. Selain itu, spesifikasinya sudah sangat memenuhi syarat TNi AU. "Karena kita sudah terbiasa dengan produk Perancis. Dan ini merupakan kerjasama PT DI dengan Eurocopter. Spek untuk combat SAR sudah terpenuhi," tutup Hadi. Jakarta (ANTARA News) - Parasut yang handal menjadi tuntutan pasti bagi Korps Pasukan Khas TNI AU dalam melaksanakan tugasnya. Sejak beberapa hari lalu, mereka menguji dinamik parasut baru, dari Mach III tipe Military Specification buatan Amerika Serikat, di udara Pangkalan Udara TNI AU Sulaeman, Kabupaten Bandung, Jawa Barat. Kepala Penerangan Korps Pasukan Khas TNI AU, Mayor Khusus Rifaid OB, di Jakarta, Jumat, menyatakan, "Sebanyak 38 penerjun tempur kami dikerahkan untuk menguji performansi calon payung baru ini. Prosedurnya, mulai dari terbang, exit dan langsung cabut, hingga ada masa pelayangan, cabut, dan mendarat sempurna." Yang dia maksud, sortie-sortie awal pengujian dilakukan di ketinggian 7.000 kaki di atas permukaan tanah dan penerjun demi penerjun langsung membuka payung begitu keluar dari pintu pesawat terbang pengangkut. "Lama-lama ketinggian pembukaan payung terjun itu dikurangi, tinggal 3.000 kaki saja karena ketinggian serendah itu juga menjadi tuntutan kami," katanya. 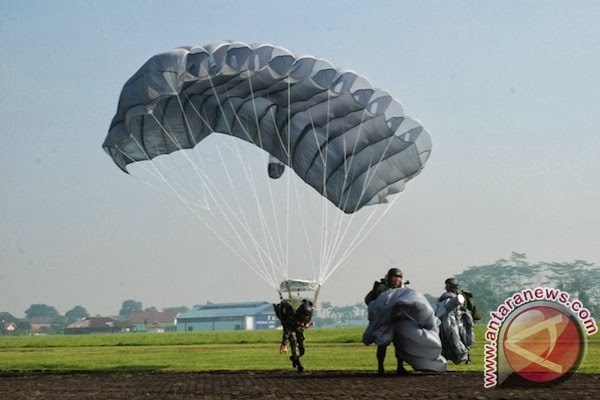 Ke-38 penerjun tempur Korps Pasukan Khas TNI AU itu pemegang brevet terjun tempur dengan kualifikasi minimal jump master. "Ada juga yang berkualifikasi rigger dan supervisor penerjunan," kata Rifaid. Tim ini adalah tim pertama yang diterjunkan di satu pangkalan udara yang akan direbut dan menjadi penjuru operasionalisasi misi matra udara selanjutnya, misalnya menginformasikan kondisi meteorologi dan sandi-sandi yang digunakan serta posisi-posisi target berikut yang dituju pasukan atau sortie penerbangan militer berikut. Tidak banyak angkatan udara negara-negara di dunia yang memiliki pasukan tempur matra udara seperti Korps Pasukan Khas TNI AU yang dulu bernama Pasukan Gerak Tjepat Angkatan Oedara RI ini. Amerika Serikat memiliki pasukan serupa, di antaranya Resimen Para Angkatan Darat Inggris. Di antara ke-38 penerjun tempur itu, terdapat enam penerjun senior Korps Pasukan Khas TNI AU dengan jumlah penerjunan di atas 6.000 kali. Mereka adalah Pembantu Letnan Dua Rusli, Pembantu Letnan Dua Dwijo Iriantono, Serdan Dua Petrus, Sersan Kepala Almustofa, Sersan Kepala Widiasih, dan Sersan Kepala Khuldori. "Salah satu keistimewaan calon payung kami ini adalah kemampuannya dibuka pada ketinggian sangat tinggi, antara 20.000 dan 25.000 kaki di atas permukaan tanah. Cukup jarang payung terjun yang bisa dibuka dan langsung mengembang sempurna pada ketinggian itu atau pada ketinggian ekstrim rendah," kata Petrus. Untuk menghindari misi terbongkar, sering kali penyusupan ke garis belakang pertahanan musuh dilakukan melalui penerjunan di ketinggian ekstrim tinggi dan payung terjun baru dibuka pada ketinggian rendah (HALO - high altitude low opening) atau sebaliknya, dibuka pada ketinggian tinggi (HAHO - high altitude high opening). MANILA, Philippines—The Department of National Defense on Friday completed negotiations with a Korean aerospace company for a squadron of FA-50 lead-in fighter trainer jets, bringing the Philippine military a step closer to returning to the supersonic age after nearly a decade of relying on helicopters and fixed-wing, propeller-type aircraft. “I will say that, yes, we can now boast a little about our capability. I will not be ashamed to accept… that we are back to the supersonic age,” Defense Undersecretary Fernando Manalo, a retired Philippine Air Force (PAF) general, told reporters after the negotiations. “There is a potential for these to be classified as beyond the short-range fighter aircraft,” Manalo said. He said the defense department and the state-owned Korea Aerospace Industries Inc. (KAI) would sign the $415.7-million contract later this month or early March. The first two of the 12 aircraft will be delivered to the Philippines 18 months after the contract is signed, Manalo said. The next two will be delivered 12 months after the initial delivery. The Philippines’ acquisition of the FA-50s was a highlight of the state visit of President Benigno Aquino III to South Korea last October. Mr. Aquino said then that the procurement was to be a government-to-government agreement. The AFP was the first military in the region to attain the supersonic capability. But that capability declined through the years, with the PAF returning to the subsonic age after it retired its Northrop F-5s in 2005. When the Aquino administration took over in 2010, one of its key priority programs was to modernize the AFP amid China’s aggressively asserting its territorial claims in the South China Sea. “It has the qualities (of a fighter jet), has defense weapons. It’s (in the) supersonic regime. It can carry precision guided munitions and AIM-9 air-to-air missiles,” said Okol, an F-5 pilot. The FA-50, Okol said, is a step lower than a multirole aircraft, which is designed as a fighter plane. Friday’s final meeting between the KAI officials and the defense and military officials ran for nearly three hours. The talks centered on whether the Korean company should assume any amount in excess of the estimated $5.938 million buyer furnished equipment (BFE) and KAI’s proposal to reduce by $500,000 or P22 million the cost of spare parts. The buyer furnished equipment are the components of the aircraft that the Philippine government would have to buy from the United States. A weaker peso could raise the acquisition cost of the BFE, and ultimately affect the P18.976 billion earmarked for the project. At the start, the KAI officials bucked the proposal, prompting the defense department’s special bids and awards committee headed by Manalo, the technical working group, and the observers to hold an executive session. The Filipinos maintained their position, making the KAI officials hold an executive session of their own. The Koreans later agreed to assume any amount in excess of the $5.938 million BEF. They also maintained the spare parts cost reduction. The Filipinos held another executive session and emerged agreeing to KAI’s final offer, which signaled the end of the seven-month negotiation. Applause erupted around the table, with both the Filipinos and the Koreans thanking each other.